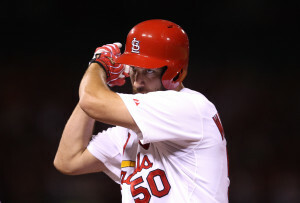 Adam Wainwright drove in three runs, tying a career high, to help pick up his 16th win of the season, as the Cardinals increased their lead in the NL Central with a 6-4 win over the Pittsburgh Pirates. St. Louis got more help from the Cubs who beat Milwaukee, 7-1. While Wainwright drove in three runs, it help offset the three home runs he allowed. Russell Martin and Jordy Mercer homered with the bases empty for the Pirates in the second and third innings. Starling Marte hit a two run homer in the seventh. Wainwright’s two-run single chased Jeff Locke, who walked five and was charged with five runs, four earned. Wainwright brought a run in with a groundout in the second.